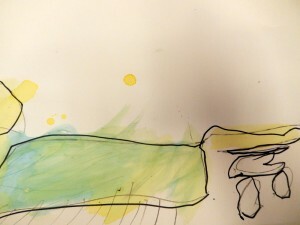 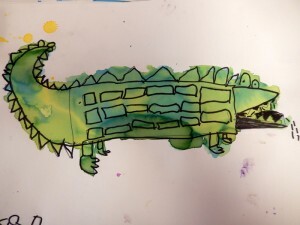 Green was the next color up in the rainbow for kindergartners, and we had fun reading The Dentist and the Crocodile by Roald Dahl. 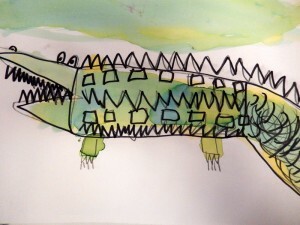 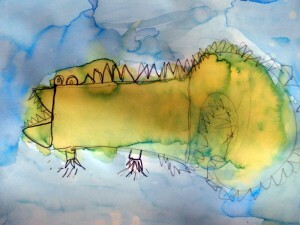 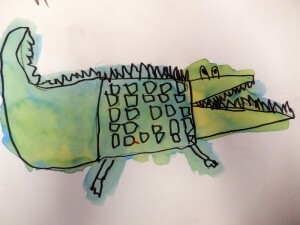 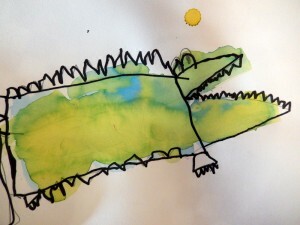 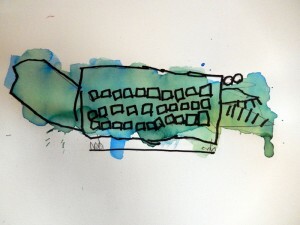 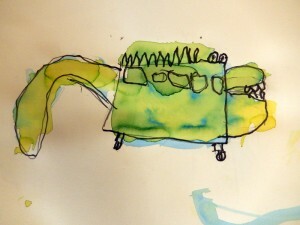 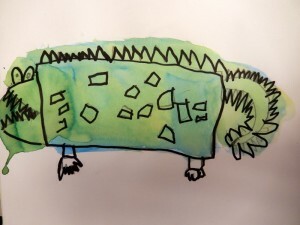 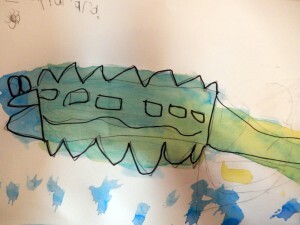 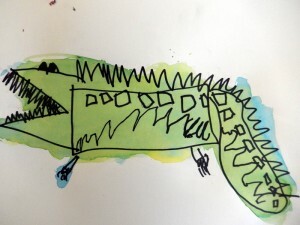 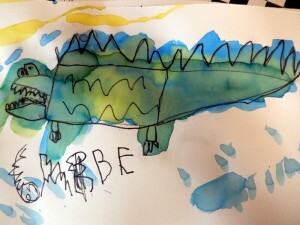 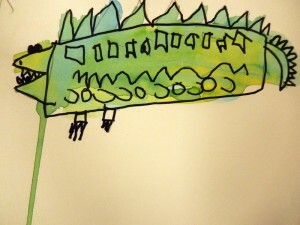 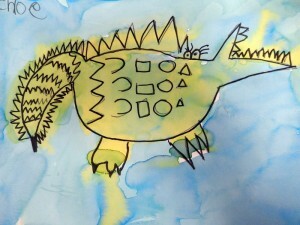 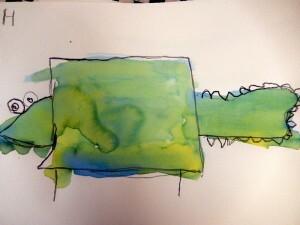 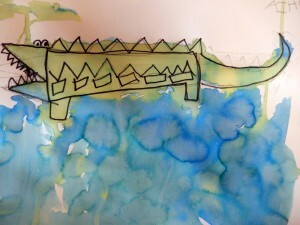 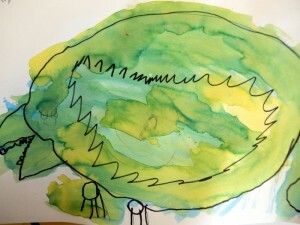 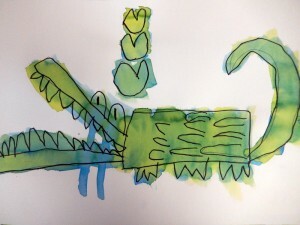 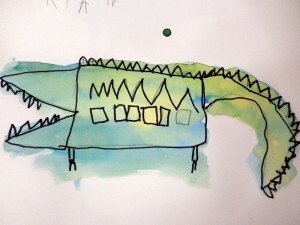 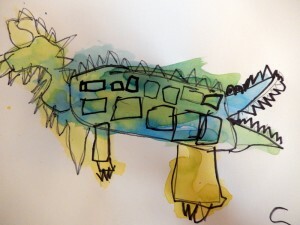 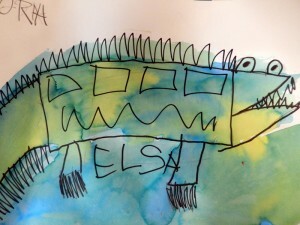 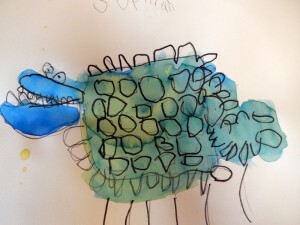 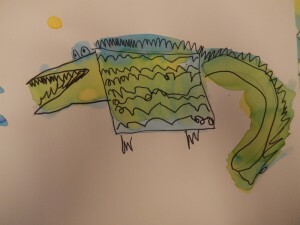 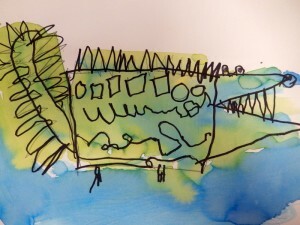 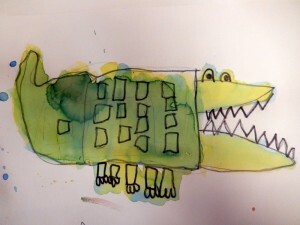 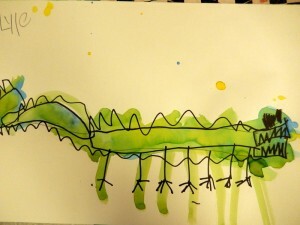 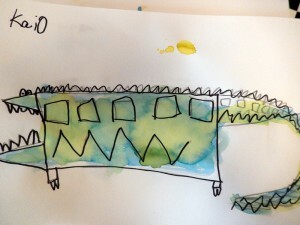 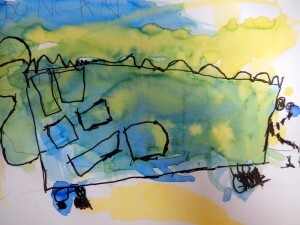 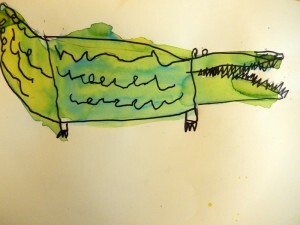 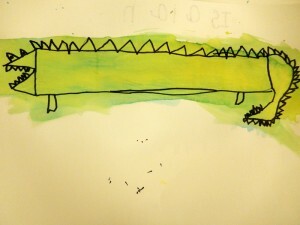 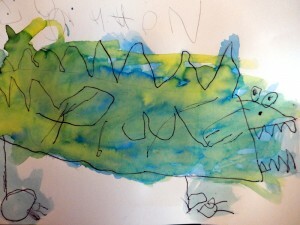 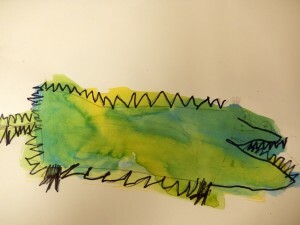 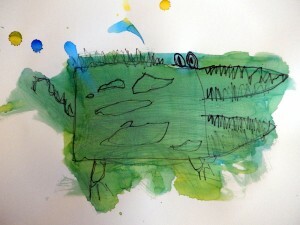 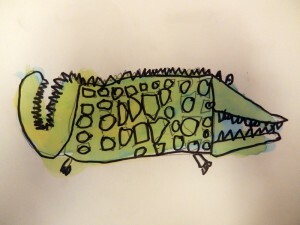 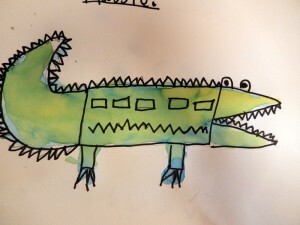 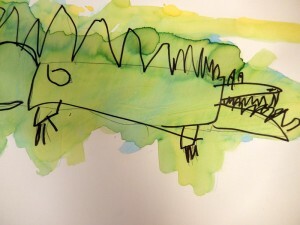 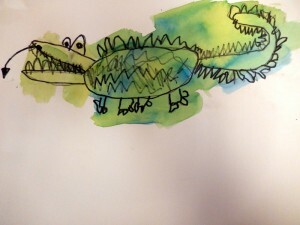 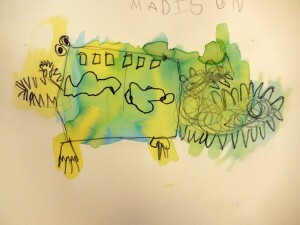 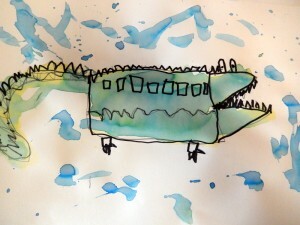 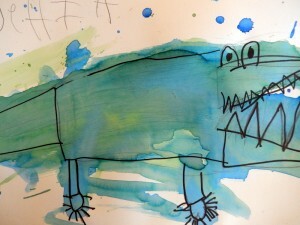 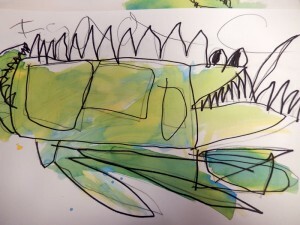 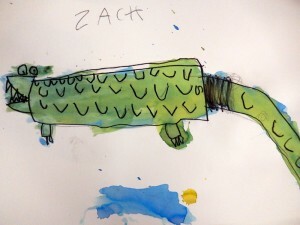 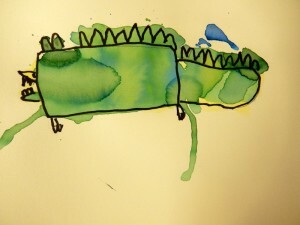 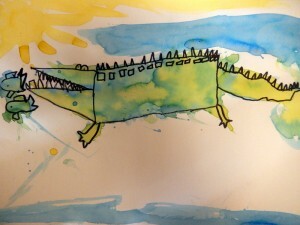 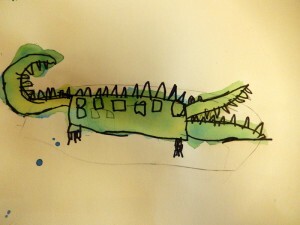 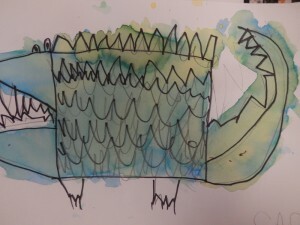 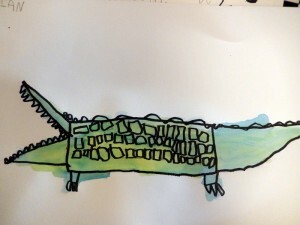 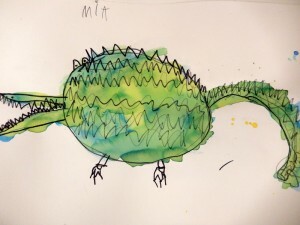 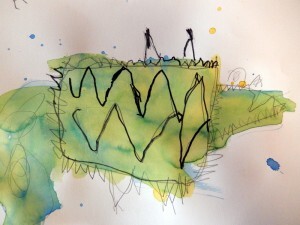 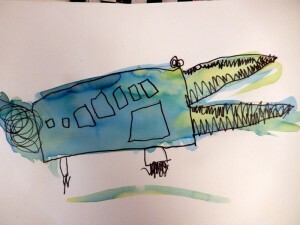 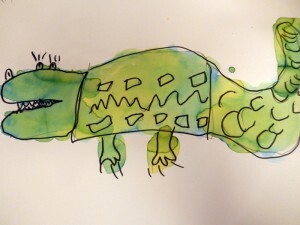 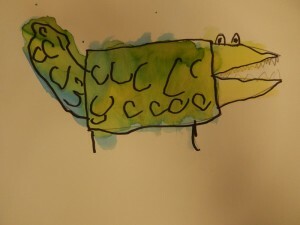 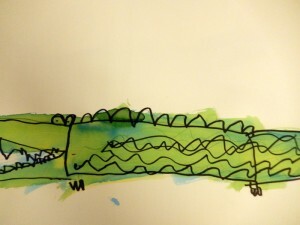 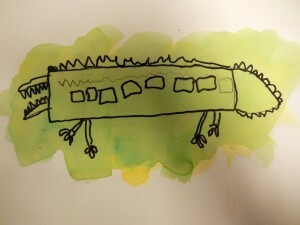 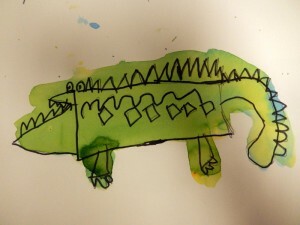 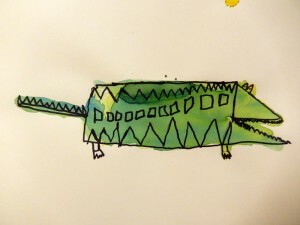 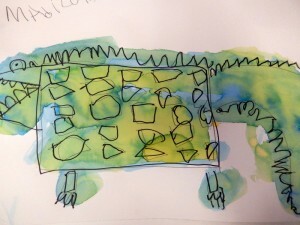 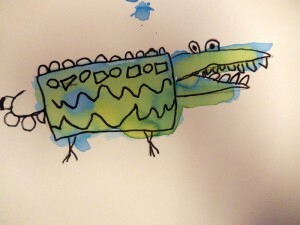 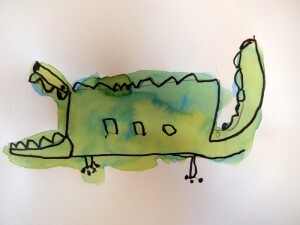 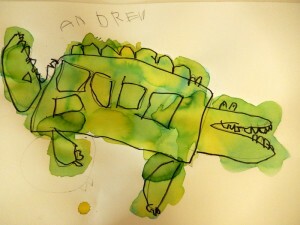 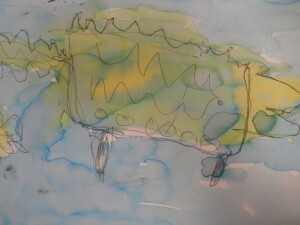 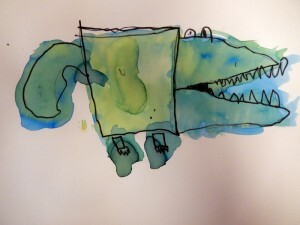 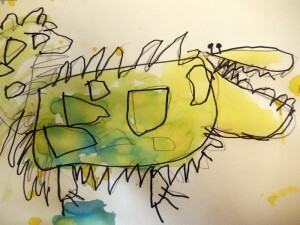 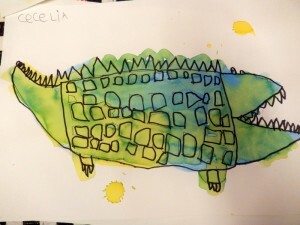 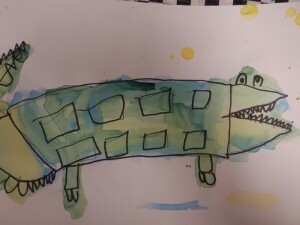 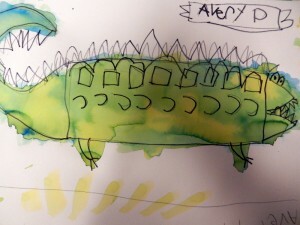 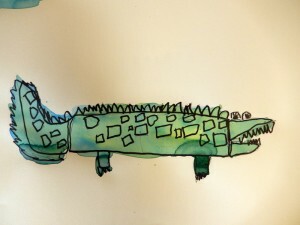 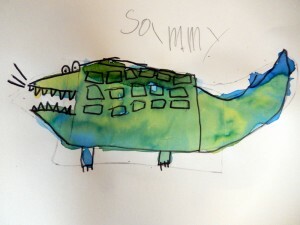 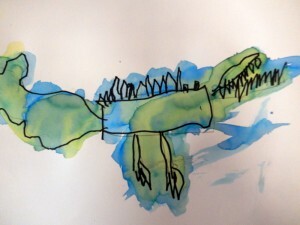 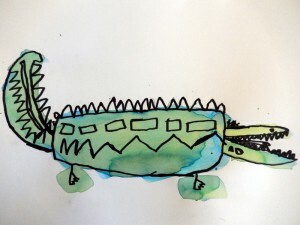 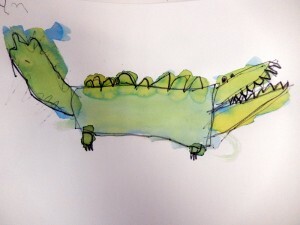 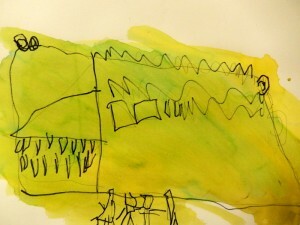 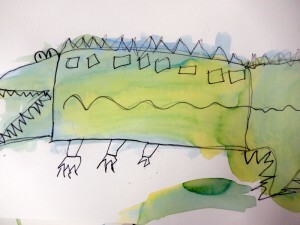 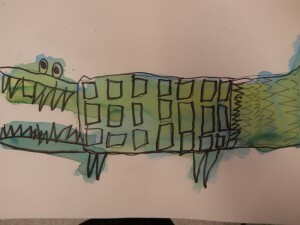 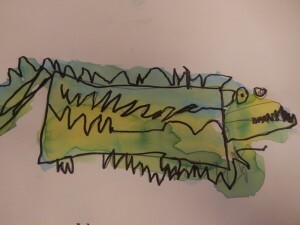 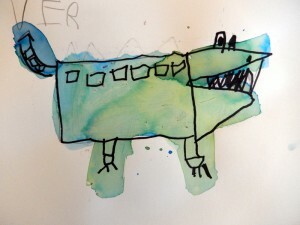 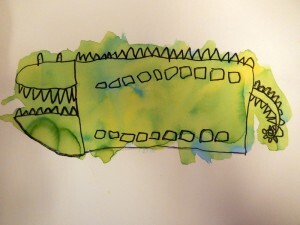 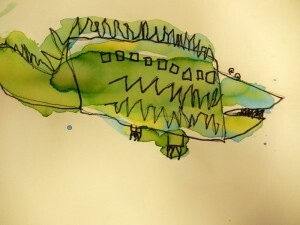 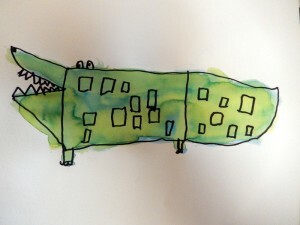 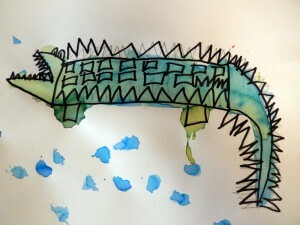 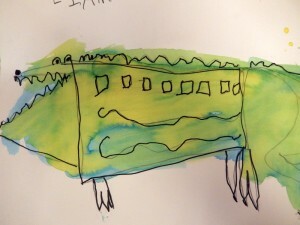 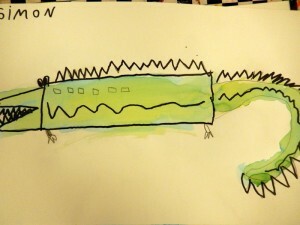 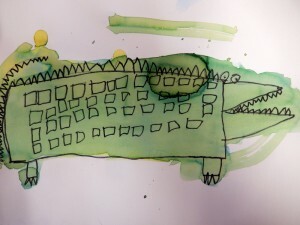 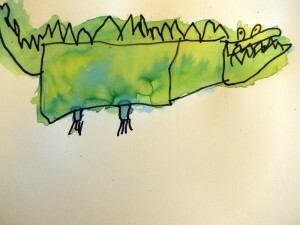 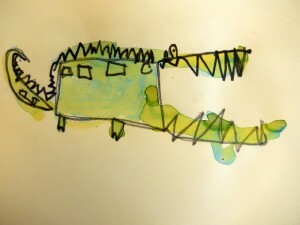 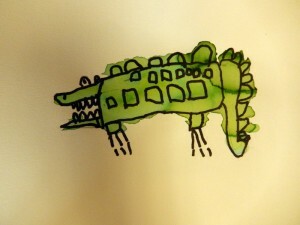 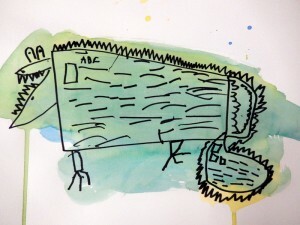 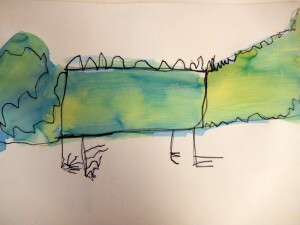 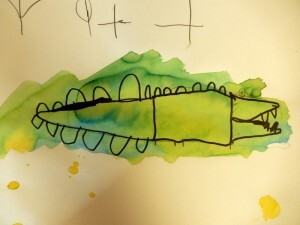 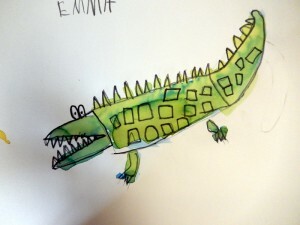 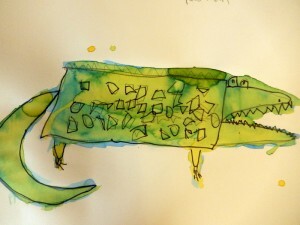 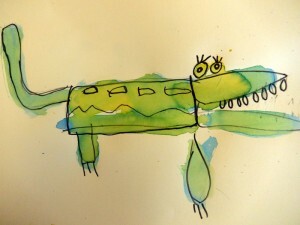 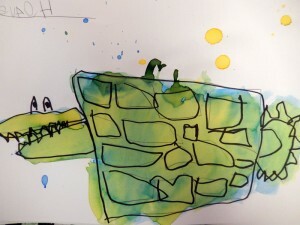 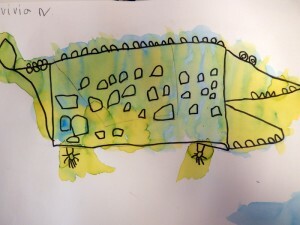 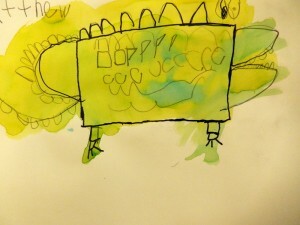 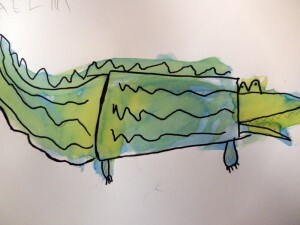 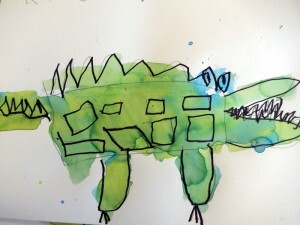 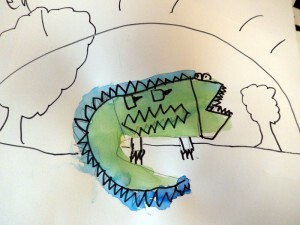 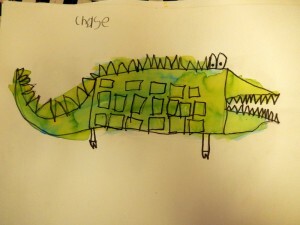 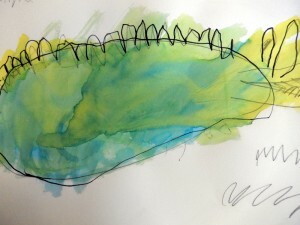 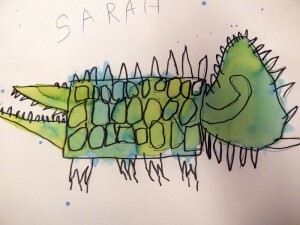 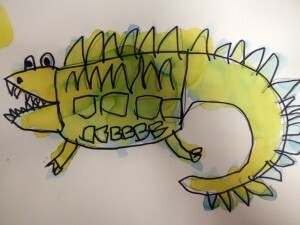 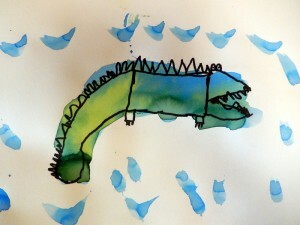 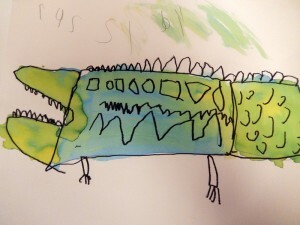 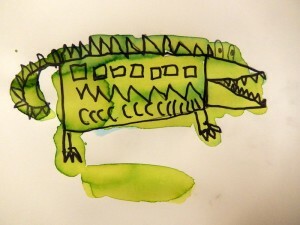 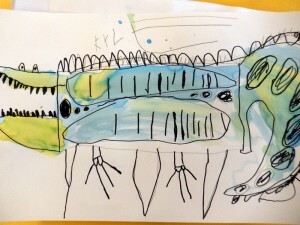 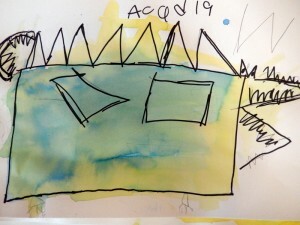 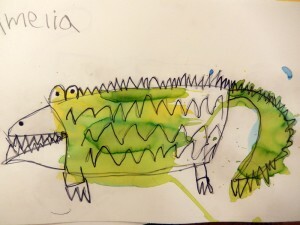 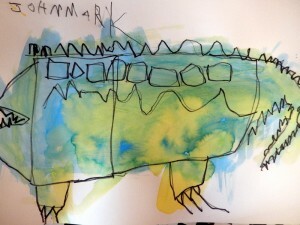 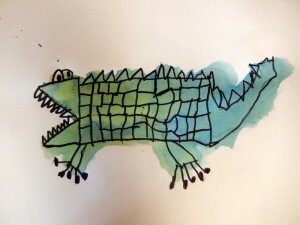 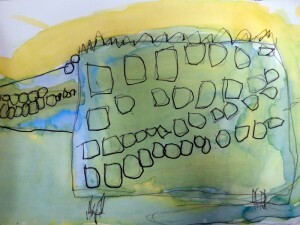 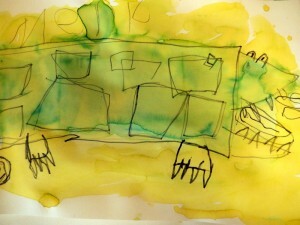 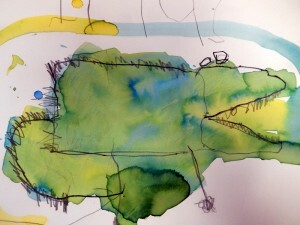 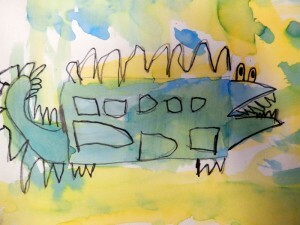 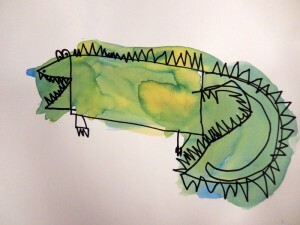 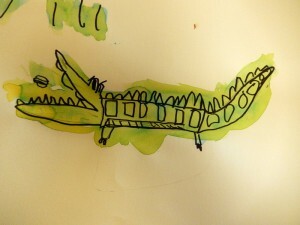 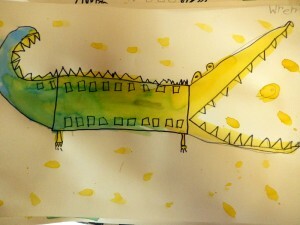 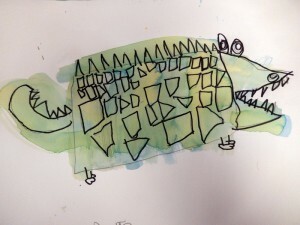 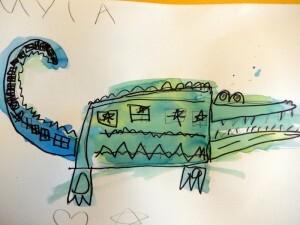 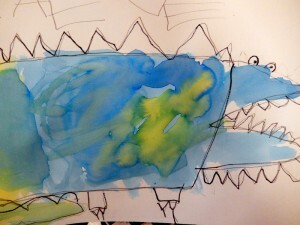 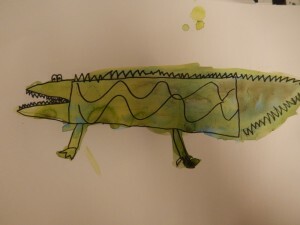 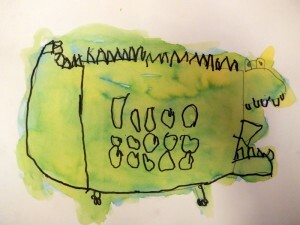 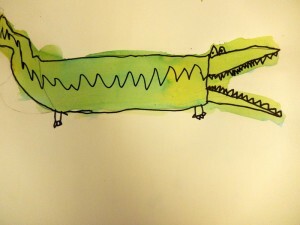 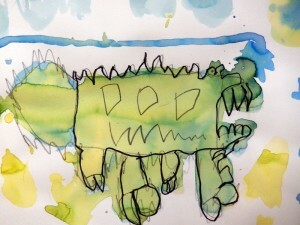 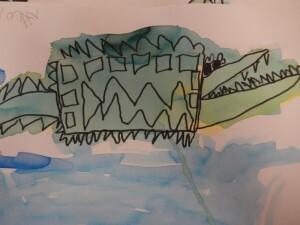 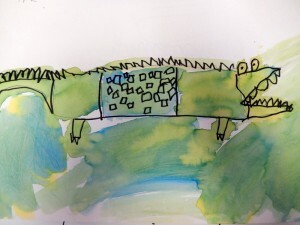 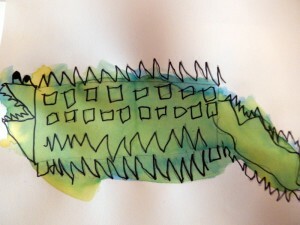 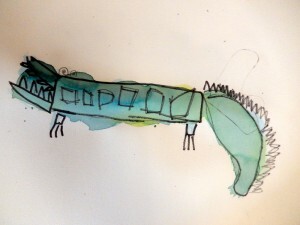 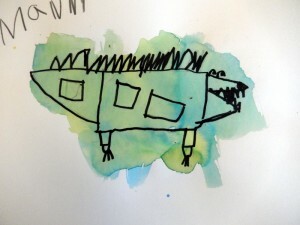 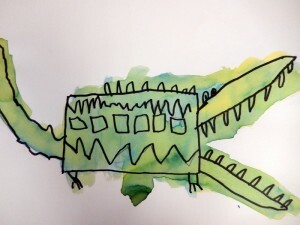 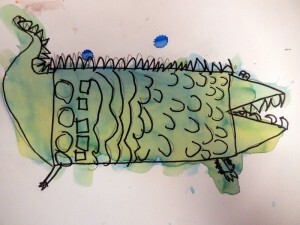 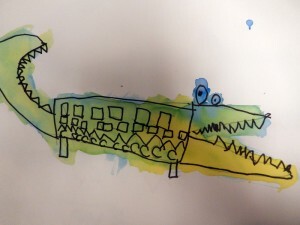 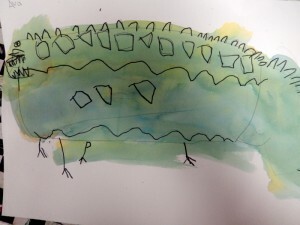 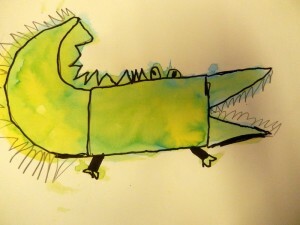 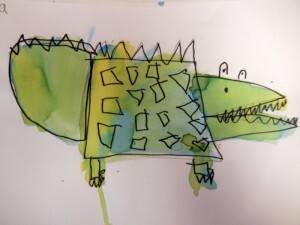 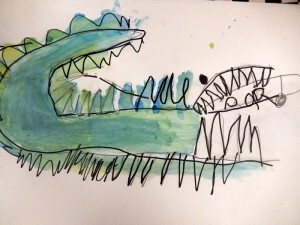 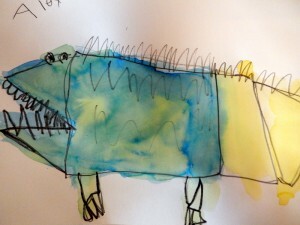 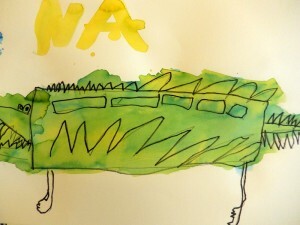 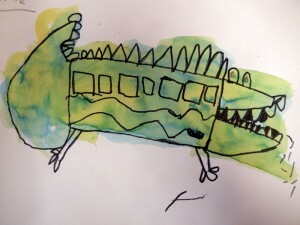 Students learned they could create a crocodile made of shapes they already knew – rectangles, triangle, and squares. 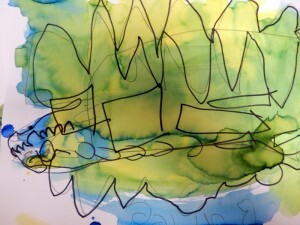 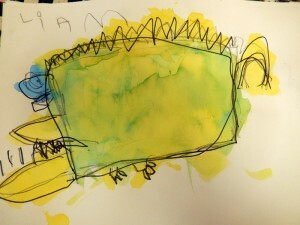 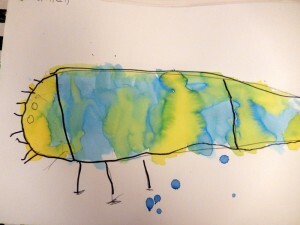 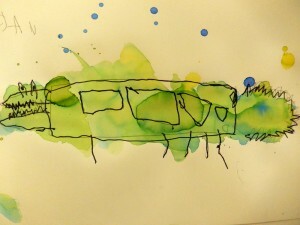 Instead of painting with green paint, they used liquid watercolor in yellow and blue, and were fascinated to see what they created together!